The Dos and Don'ts of Buying Hydroponic Supplies From Craigslist - Rosebud Magazine Hydroponics Lifestyle Growing And Entertainment! Here's what to beware of when buying hydroponics supplies online. 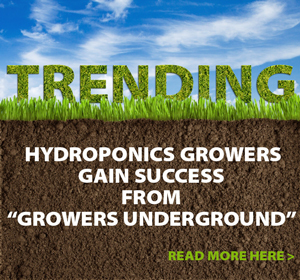 It's a tough economy and hydroponics gear can be expensive, as most growers quickly discover when entering the field. In addition to shopping around for the best deals, growers may be tempted to buy supplies online. This can be a great option, especially when buying from reputable retailers. While we do not typically recommend buying used hydroponic supplies, some items can be purchased through Craigslist while keeping you and your grow safe, and saving you some precious green in the process. Here is our guide to buying hydro gear from Craigslist, with the top dos and don'ts to keep your transaction smooth and pleasant. Craigslist sellers are not typically salespeople, and as such may not be as knowledgeable about the stuff they are selling as you would like them to be. If you are a new grower, we recommend visiting your local hydroponics retailer to get advice about starting off on the right foot. For experienced growers, be realistic. You are likely saving some major cash by buying this way, but you may have to do some research on your own about what you are buying before you meet up with the seller. Know the value of the product, the reputation of the manufacturer, and do not be afraid to decline the sale or re-negotiate the price if, when you check out the item, it is not what you expected or in the condition advertised. Do not buy anything that needs repair unless you know exactly what will be needed to fix it and feel confident in your ability to do so. 2.) Do Meet the Seller in a Safe Location. Most growers want to keep their actions private, and this is no different when buying supplies, but do not use your desire for privacy to convince yourself to go alone to the seller's home. To avoid being hurt or robbed, always meet the seller in a place you both feel comfortable, which is usually a public place with a lot of traffic. Be discreet about your purchase, but keep your personal safety a top priority. If the seller wants to meet at their house, bring a buddy (or five) and your cell phone. If the seller wants to come to your house, be wary, especially if you grow at home. You may be better off meeting at a close friend's pad instead. 3.) Don't Discuss Your Grow With the Seller. Meeting a fellow grower can be exciting, and the temptation to start gabbing with them about hydroponics may be there, but use your common sense. This is someone you just met, and they could be anyone. There are a variety of great resources for growing information, especially here at RosebudMag.com, so there is no reason to look to a stranger for advice or support. They may be trustworthy, but it isn't worth the risk, especially if they know where you live. 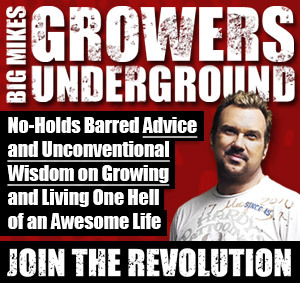 And under no circumstances should you show a stranger your grow room. 4.) Do Examine All Merchandise Thoroughly. When deciding where to meet the seller, keep in mind whether you will need to test the equipment, which you will typically want to do, when possible. If you need an electrical outlet or a lot of space, a public place may not work. Always examine products thoroughly, including electrical wiring, spots where tubing will connect, and meter accuracy (bring testing solutions when buying meters and make sure that you get all pieces, including the little screwdriver typically needed to adjust meter readings). Make sure you are checking for cracks, deep scratches, or anything that will affect the workings of the product. Some minor wear and tear should be expected, but certain wear is a dealbreaker. Frayed electrical cords on anything or cracked plastic on items that need to hold liquid are major red flags, along with cloudy or scratched glass on light hoods, which will decrease the intensity of the light your plants receive, and usually cannot be remedied. 5.) Do Sanitize All Used Products Thoroughly. You never know what kind of situation the seller had in their grow room, or how sanitary it was, so make sure to clean and sanitize any product you buy, and remember that not everything CAN be cleaned to an acceptable level. Light hoods, reflective surfaces, reservoirs, brain buckets and pots, grow tables, meters, air conditioners, fans, power-strips, and other hard-surfaced items can be sanitized. These are all safe to buy, providing you follow the other guidelines. Reverse osmosis machines can be okay as well if you know what you are doing. Growing mediums (unless in original, unopened packaging) rubber tubing, aerators, and anything else with a porous surface cannot be cleaned properly, and should only be bought new. 6.) Don't Buy Used Nutrients or Lightbulbs. Nutrient companies and lightbulb manufacturers typically offer warranties of some sort on their products, but only when bought from reputable retailers, so we do not recommend buying these items used. With nutrients or liquid buffers like pH up and down solutions, if the bottle is opened, you have no idea what it contains. Even when sealed, you may not know how long the stuff has been sitting or how potent it is. 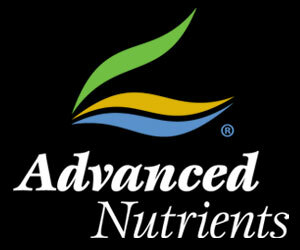 Always buy your nutrients from a retailer you know and trust, either your local hydro shop or from the manufacturer, and look for companies who offer a money-back guarantee, like Advanced Nutrients. With lightbulbs, even if the bulb works properly when you test it, there is no way to know how much it has been used and how much life it has left. Light hoods are typically a safe buy, but always buy your bulbs, like your nutrients, from a reputable retailer, and look for those warranties -- they can be a lifesaver. Weird Al knows what's up with Craigslist.